The sweater seems like an odd choice with that fancy skirt, but I don't hate it. She looks like she's wearing the main colors from La La Land. 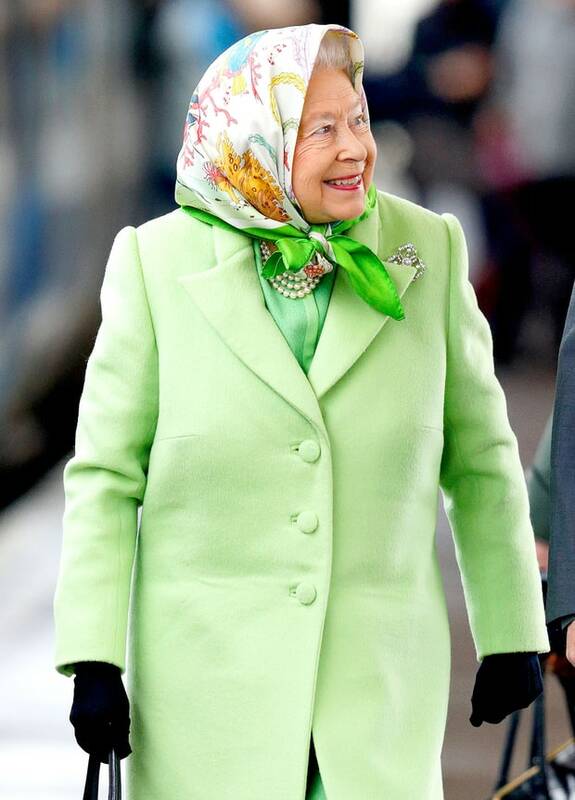 I love cute little bundled up Queen pictures. Wow. Is that not some sort of costume? No? Yikes. That's a BRA. Go find your shirt. Hurry!